← London Winter Wonderland Christmas spectacular, Hyde Park. The winter holiday season in the city of lights would feel degrees less cheerful and inspired without the traditional Paris Christmas markets that spring up each year. The markets, with their iconic clusters of wood chalets offering custom holiday treats like mulled wine, gingerbread, sausages and specialties from various regions of France, are an essential part of celebrating Christmas in Paris. 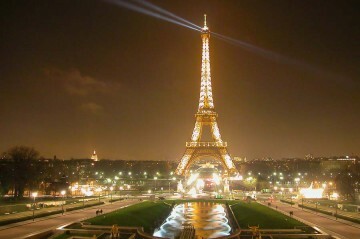 They also make an ideal outing with kids in Paris. Visit one of Paris’s many Christmas markets for a scenic winter stroll, or stock up on traditional foodstuffs or handcrafted toys, clothing and other items for gifts. Christmas markets in Paris and elsewhere in France have their origins in the northern Alsace region, which has belonged to Germany at various junctures in history and therefore draws on German Christmas market traditions stretching to as early as the 14th century. The most famous– and largest– marché de noël in France is in Strasbourg, the capital of Alsace. No matter where you’re staying during your holiday trip this year, you’re bound to find a market nearby. Some of these dates and times are subject to change; check back closer to December for updates. This is the largest Christmas market within Paris’s city limits. The market stretches from the Champs-Elysées roundabout (Metro Champs Elysées-Clémenceau) to the Place de la Concorde (Metro Concorde). Also visit the Maison de l’Alsace at 39 avenue des Champs-Elysees, a temporary boutique offering traditional Alsatian Christmas goodies. With 350 stands, one of the largest and most festive Christmas markets around– in the surreal setting of high-rise buildings. Featuring over 120 stands peddling Christmas goods, an ice-skating rink and “snow villages”. This one’s ideal for the kids. Open: dates and times to be determined. Check back soon. Open from December 6th, 2012 through January 2nd, 2013 . Open from December 5th, 2012 through December 30th, 2012. This market specializes in regional French delicacies. Location: In front of the Gare Montparnasse, facing the tower. Open from November 24th-December 24th, 2012. This market, nestled in the heart of the quaint Montmartre neighborhood, will be open daily starting in December (precise dates to be announced). Dates and times tbd: check back soon. This year a market dedicated to arts, crafts, and fine cuisine is set to spring up on the square outside Notre Dame Cathedral, where a giant Christmas tree generally stands as well each year. Mulled wine, roasted chestnuts, warm chalets and even Santa Claus are reportedly set to take the square by storm. Open: Daily from December 15th-23rd, 2012. Posted on November 10, 2012, in Chrismas in Paris, Eiffel Tower, Notre Dame Cathedral, Paris Christmas Markets, Paris via Eurostar, Sightseeing Tours, Travel Tips. Bookmark the permalink. Leave a comment.